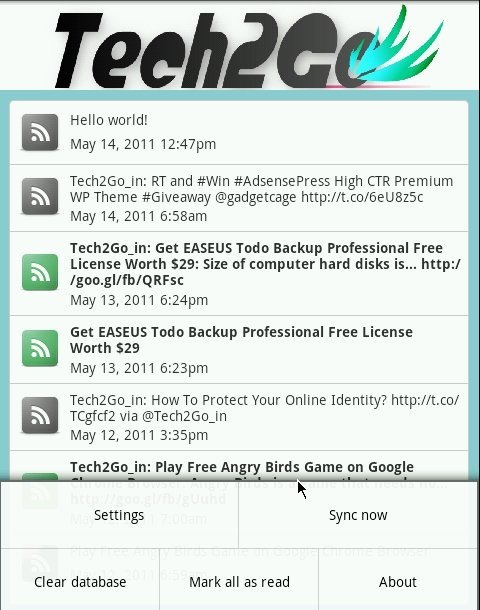 Download Tech2Go Android & Symbian Mobile Application Now! Today I’m really excited to announce first Tech2Go mobile application. 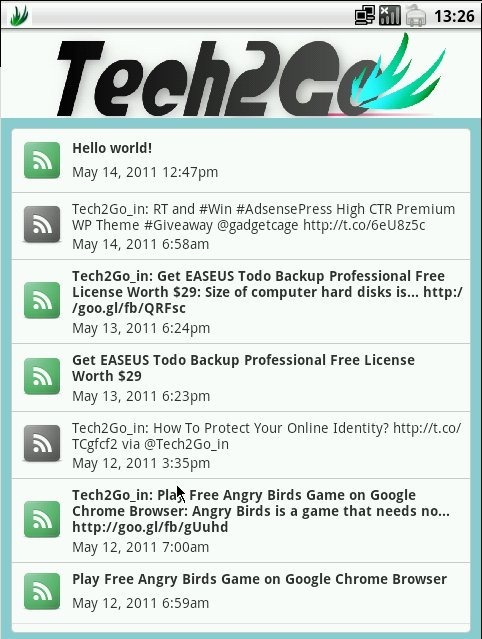 Now you can get latest updates and Tweets from Tech2Go on your mobile easily without visiting website. 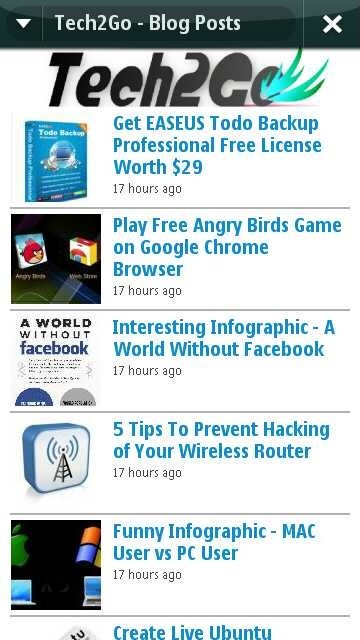 This mobile application enables you to read posts directly on your mobile. In future there will be a dedicated feed for mobile application users. 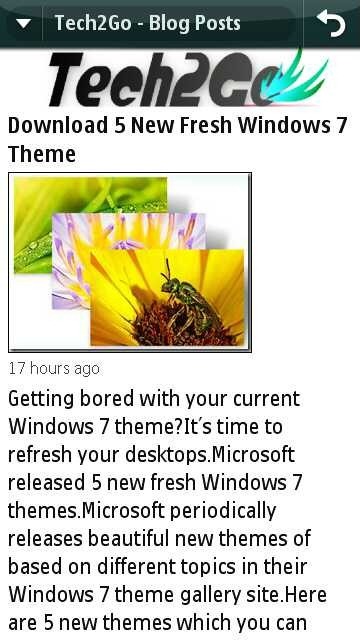 From that feed mobile users will get exclusive updates about mobile contents like wallpapers,games,apps and more. Tech2Go mobile application is currently available for Android and a Symbian 5th edition (X6,N97,5230 etc) and Symbian^3 (Nokia N8,E7 etc. ). Symbian version is available in Nokia OVI store . Android application can be installed via .apk file or through QR code. I’m planning to publish the application in Android market so that more users can get access to this application easily.Currently the Android and Symbian versions are in Beta stage ,there may be some bugs in initial release. More work is needed to make this more useful and beautiful. Please download and install this application on your mobile and give your opinion here. Read full posts on your mobile without visiting website. Get latest updates from Twitter without visiting Twitter. Takes less bandwidth than web version,saves mobile bill. The final release of Qt SDK 1.1. This final release is now ready for developers to submit apps to Ovi Store. With the new features in the Qt SDK 1.1, developers can now publish high quality, graphically rich applications that will stand out on our latest range of Symbian devices. In addition to Qt Quick, the Qt SDK 1.1 includes map and navigation features, imaging features for camera and photo gallery access, notification API plug-ins and other enhancements that enable developers to provide access to user content on the device. Yes, you can create your own mobile application. I’m going to write some tutorials on it in next few days. So stay tuned. ok thanks a lot because i liked your android apps and nokia apps both. a very good android app..